Iran’s heavyweight powerlifting champion Siamand Rahman has been voted by the public as the International Paralympic Committee (IPC) Allianz Best Male Athlete of the Month for September. The Iranian powerlifter received 64 percent of the public votes and won the Best Male Athlete of the Month award. Colombian swimmer Carlos Serrano and Belarusian swimmer Ihar Boki ranked second and third, respectively. Swiss wheelchair racer Marcel Hug, Belgian table tennis player Laurens Devos and Australian wheelchair tennis player Dylan Alcott have also been nominated for the award. Rahman had smashed the world record and won gold at the Rio Paralympics on September 14. In his first attempt in the +107kg category, the Iranian Paralympian lifted 270 kilograms and broke the Paralympics record. The 28-year-old Iranian then lifted weights of 300 and 305 kilograms to smash his own record of 296 kilograms again. 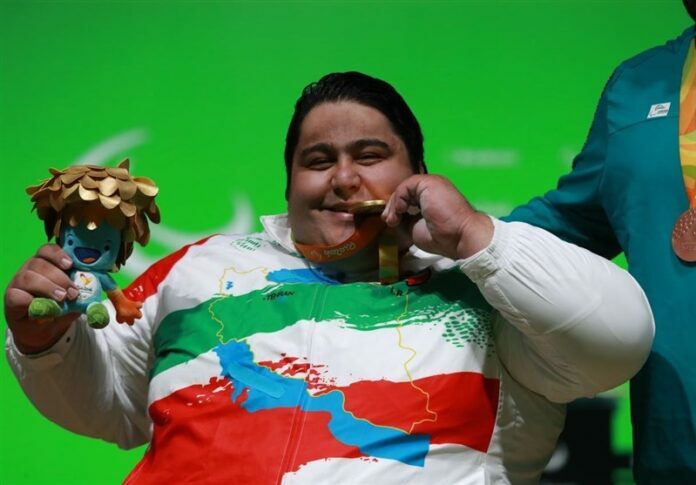 Rahman, who was representing Iran for the second time at the Paralympics, then requested for the weights to be set at staggering 310 kilograms, the equivalent of two baby elephants or a Siberian tiger, outside the three scoring competition lifts, and triumphantly repeated his astonishing success for a fourth time. The IPC Athlete of the Month award for September was awarded in three different categories – Best Male Athlete, Best Female Athlete and Best Team – based on results at Rio 2016.